Welcome to the 2014 90 Degree Show Week 14! 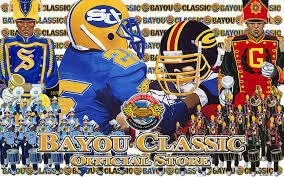 This week we talk about the great Bayou Classic between Southern University and Grambling St. There was a BOTB the night before the game and then the usual halftime show. We will announce the winner of the People Choice Awards battle from last week and our ‘Word on the Street’. where we discuss potentially a 20 for 20 series about show style marching bands.